Decorex is always at the top of our list to visit during London Design Festival. This year, the organisers were keen to explore the roots of design and display the origins and processes behind beautiful design. Decorex is held in the stunning and historic Syon Park, a suitably luxurious setting. Inside is a wealth of design and craft, with over 400 both emerging and established designers. There is always a celebration of British, an important move for organisers like Decorex to keep our crafts alive. Since 2004 the Clapham-based husband and wife duo behind PINCH have been creating beautiful designs which have simplicity and purity at the heart of their form. They believe design can be poetic and being surrounded by beautiful things can be inspirational. It’s no surprise to hear their work has been nominated and won numerous design awards. We were excited to see their new collection, which launched at Decorex this week. The drinks cabinet and dresser particularly stood out. If you’ve been keeping up to date with our latest blog posts, you’ll notice that we’ve been very inspired by botanical designs recently, particularly the displays at Kew Gardens. We were delighted to see Ivo Designs showcasing their Kew Textile range. Every design and pattern is based on original references from the library and archives at the Royal Botanical Gardens in Kew. Each design is hand silk screen printed using traditional processes - a labour intensive process they admit! Their emphasis on craft and process ties in perfectly with Decorex’s theme this year. Our next addition is an unusual choice for Decorex; Lumitrix aren't designers but instead curators of photographic works. They represent a gallery of images from over 20 photographers from around the world. What we love about their ethos is their dedication to represent young talent alongside established names. 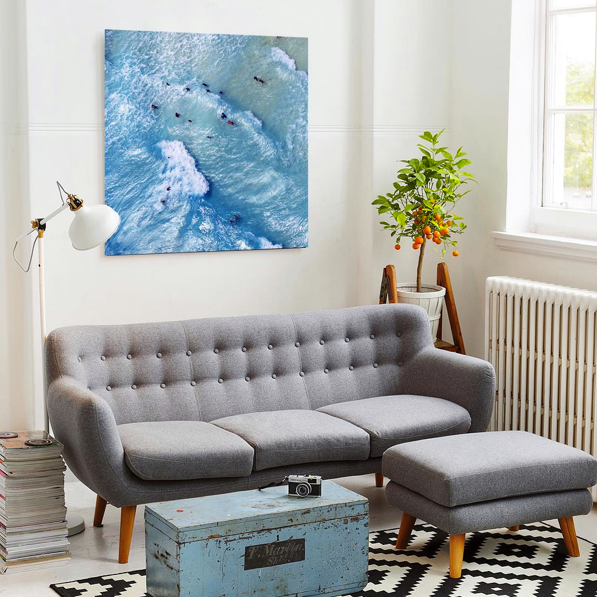 Every photograph is available in four different sizing options and varying hand-painted frames, so your print can be tailored to your interior and space. We source works of art for clients and appreciate the attention given to each carefully selected image. Lumitrix is a great company to use if you’re looking to add some character and edge to your home but find the selection process challenging. A highlight for us is their range by Astrid Harrisson who photographed wild horses at dawn in the South of France (pictured above). 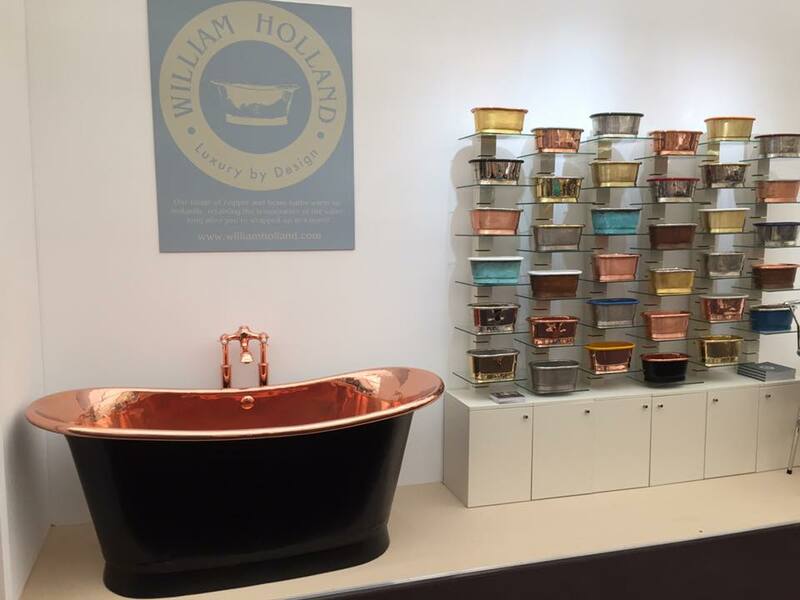 William Holland specialise in copper baths and basins - their dedication has paid off as they're considered the world's leading specialist manufacturer in their trade. 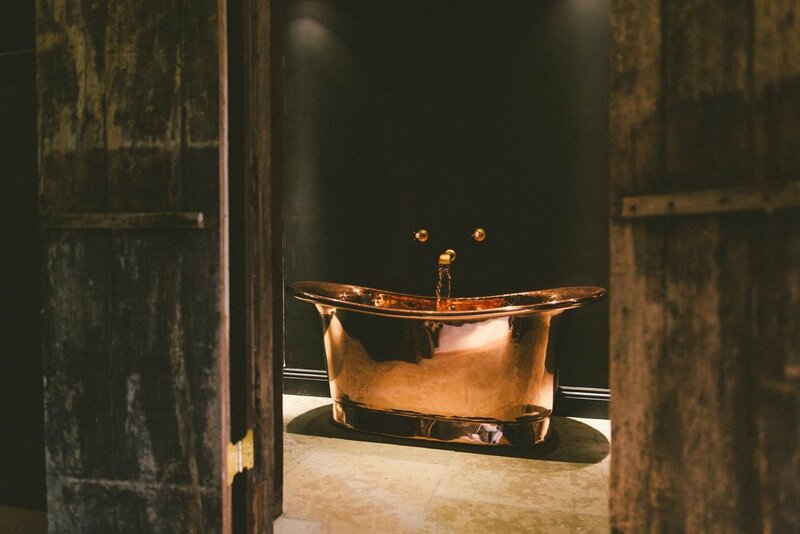 A free standing baths would look wonderfully elegant in a country bathroom or add some warmth and luxury to a city space. The factory is based in a 17th-century Tithe barn in the Dorset countryside and we're sure this peaceful location is embedded within their product's experience. We also loved their display of miniatures to show examples of every finish. Our favourite moments at Decorex are when we discover a new designer and Susie Watson's work really caught our eye. 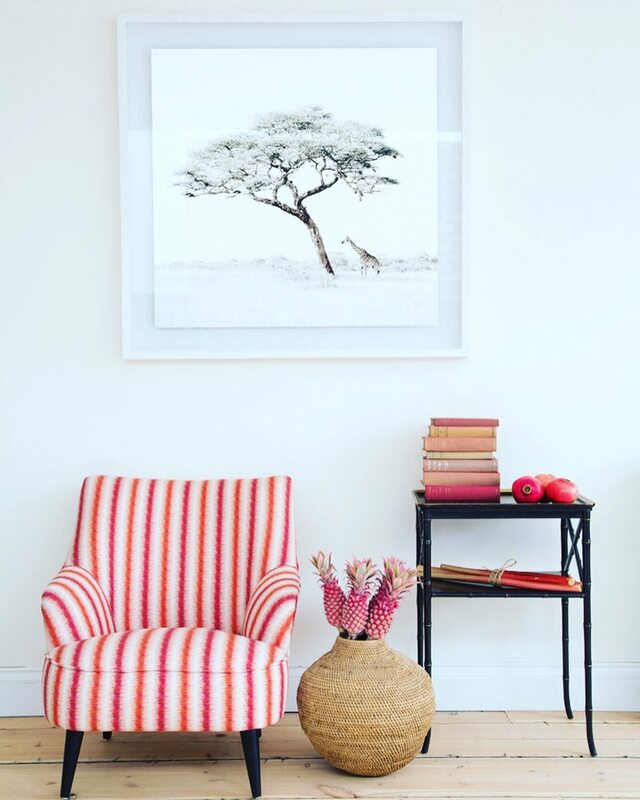 Her passion for colour and design shines through and we love her soft blends of colour. Her textile factory in Karur is at the heart of the South Indian cotton weaving area, while her wallpapers are printed at a famous and established factory in Lancashire. 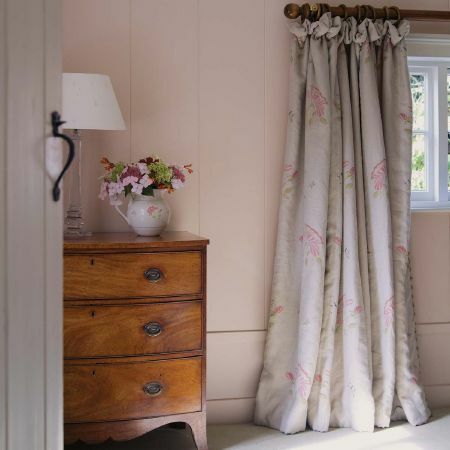 Her pastel pinks and blues would look lovely in a country cottage, particularly for a child's bedroom if you want a soft, subtle and calming atmosphere.